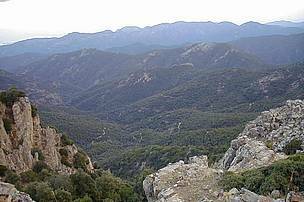 The Monte Arcosu - Piscinamanna forest is the largest Mediterranean maquis in the whole Mediterranean basin. 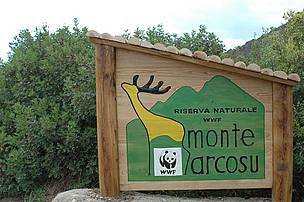 Those who enter the WWF Oasis of Monte Arcosu near Cagliari get the impression of being part of a documentary. It is one of the few natural parks of the Mediterranean’s most admired island, one of the last sites of the Corsican red deer and a casket of biodiversity. The Oasis lies within the forest of Monte Arcosu – Piscinamanna. With its 35.000 hectares it is the largest Mediterranean maquis in the whole Mediterranean basin. 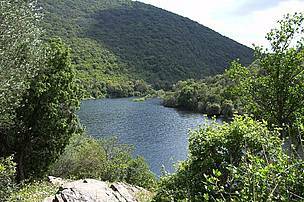 The WWF reserve is about 3600 ha and hosts important species of the Sardinian flora and fauna. The territory presents an uneven morphology, characterized by long and steep valleys where in winter and spring flow impetuous torrents. Their capacity is drastically reduced in summer. 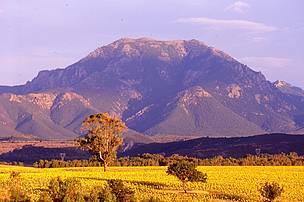 The high peaks are over 1.000 metres high. The unique morphology can be attributed to their different geological components. 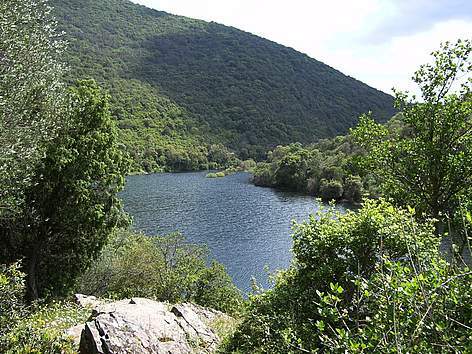 The vegetation of Monte Arcosu Oasis is dominated by holm oak, cork oak, Phillirea, various species of Erica, strawberry trees, myrtle and many species of cistus. Unique species like the common yew, residual parts of a holm oak forest, and 46 endemic species among which the Barbarea rupicola, the Helicrysum montelinasanum and the Anchusa formosa stand out for their rarity. The Anchusa formosa has been described for the first time in the deep valleys of Monte Lattias. The cyclamen and 20 orchid spices complete the botanical picture. Plenty of mushrooms species can be found in the Oasis. Among them the endemic Ramaria arcosuensis. The fauna comprises numerous endemic species. Undoubtedly, the key species is the Corsican red deer, saved from the brink of extinction with the creation of the Oasis. Other relevant endemic species include the African wildcat, the European pine marten, the least weasel, the red fox, Speleomantes and the Tyrrhenian painted frog. The bird fauna of Monte Arcosu stands out for the number of species that can be found in the reserve. These number to more than 80 listed species. Birds of prey are present in significant numbers. Along with the widespread common buzzard and common kestrel, the peregrine falcon, the golden eagle, the Sardinian-course sparrohawk and the rare Sardinian-course goshawk can all be observed on the Oasis premises. There are two nature paths equipped with educational panels and information boards. The Perdu Melis trail can be easily accessed while the Sa Canna trail requires more effort. Both trails take about 2 hours to complete. Five other trails are present in the nature reserve although these are for more experienced hikers. Before taking these trails visitors are asked to stop at the visitor centre for a map of the trails and the necessary information. All trails are equipped with information boards and observation hide-outs. Along the more difficult trails visitors encounter the Corsican red deer wildlife area and educational beehives. Trails may at times be steep and uneven. Inexperienced visitors, those without appropriate clothing/footwear and/or with disabilities are discouraged from using these trails. Please note that there are no springs for drinking water and no network coverage for mobile phones along the trails. Thematic hikes (visits may concentrate on photography, mycology etc.) and/or night trips (only in August and September) and photography course can be organised in advance. 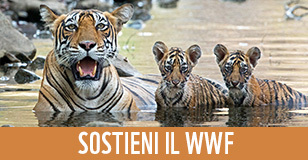 The Oasis belongs to WWF Italy and is directly managed by the organisation. 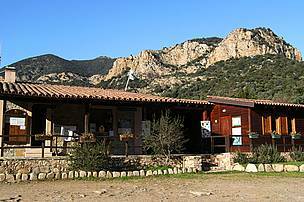 The nature reserve is equipped with a visitor centre where it is possible to buy the “Terre dell' Oasi” organic products. Open-air spaces equipped for environmental education sessions are available. Open all year long on Saturdays and Sundays (in autumn, winter and spring from 9 am to 6pm, in summer from 8.am to 7 pm), guided tours at 11 am and at 3 pm. Groups and schools: every day on booking. Hiking trails accessible only with a guided tour. Monte Arcosu is about 20Km from Cagliari. There is no public transport. 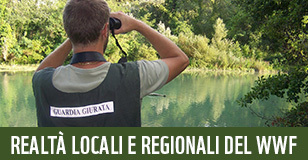 BY CAR: From Cagliari follow the S.S. 195 towards Pula and after 12 Km take the road for Macchiareddu – CASIC. From there take the Second Street West and continue up to the country Church of Santa Lucia and follow the directions to the WWF Oasis. 1. The village of Uta, with the Church of Santa Maria erected in the XII century by the Vittorini monks. It is one of Sardinia's most important Romanesque monuments. 2. A meeting house built by the Vittorini monks at Decimoputzu in 1144. It has an interesting two aisles plan definitely rare in Sardinia. 3. 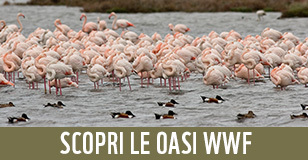 Assemini, particularly interesting for the production of wonderful ceramic manufactures and the nearby Lagoon of Santa Gilla, famous as a flamingos nesting place. 4. Siliqua: nearby is the manor of Acquafredda built by Count Ugolino della Gherardesca, a character quoted by Dante in the Divine Comedy. Research is a fundamental part of the reserve, and particular attention is paid to native species of flora and fauna (the wild cat, Barbary partridge, Microlepidoptera. etc.). The annual Corsican red deer census has been taking place since the land was acquired by WWF in 1985. Census of wild plants and animals are done on a regular basis.